Fans of Miyazaki's movies won't be disappointed by this book. It has lots of concept art, sketches, water colour storyboards, character design and beautiful paintings of the countryside. Some of the art are captioned by Miyazaki to give you insight into the scenes. At the end of the book is a summary of the film's production process. There are interviews with key production staff, including the music director Joe Hisaishi. This book is easily a classic, just like the anime movie itself. 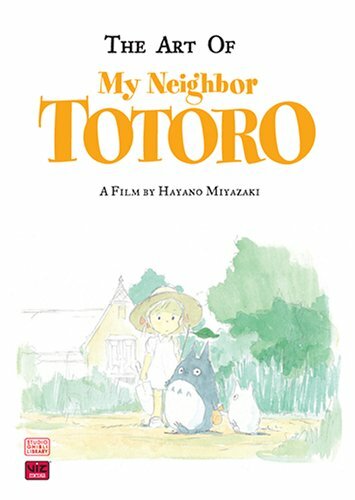 "My Neighbor Totoro" has been hailed as a classic animated film, and rightly so. Everything about this movie, including the art work is so perfect. I am a collector of everything Studio Ghibli. These "Art of" books should not go overlooked. They are a priceless part of my collection, and should be on the shelf of any true Ghibli fan.